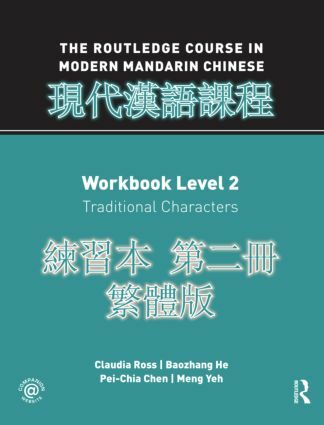 Workbook Level 2 is designed to accompany Textbook Level 2 lesson by lesson, and offers exercises for homework, independent study and classroom use. The exercises focus on interpersonal, interpretative and presentational modes of communication while helping students to consolidate the vocabulary, characters, and structures introduced in each lesson. At the conclusion of this course, students will be able to read page-length texts for information, listen to and comprehend extended narratives on a variety of topics, and communicate a broad range of information orally and in writing.